Jan Schlauer, Siegfried R. H. Hartmeyer, Irmgard Hartmeyer, Holger Hennern, Anja Hennern (2019). Carnivorous Plant Newsletter Vol. 48/1: 6-12. Keywords: Drosera, phytochemistry, naphthoquinones, chemotaxonomy, micro-morphology, emergences. The acetogenic naphthoquinones, plumbagin (P in this paper) and ramentaceone (7-methyljuglone, M in this paper) are important chemotaxonomic markers in sundews (Drosera L., Culham & Gornall 1994, Schlauer et al. 2017, 2018). Further accessions have been investigated, and the results are presented and discussed here. sessile glands on leaves; C: multiseriate hairs on sepals. All photos: S. Hartmeyer. Culham, A., and Gornall, R.J. 1994. The taxonomic significance of naphthoquinones in the Droseraceae. Biochem. Syst. Ecol. 22: 507-515. Durand, R., and Zenk, M.H. 1974. The homogentisate ring-cleavage pathway in the biosynthesis of acetate-derived naphthoquinones of the Droseraceae. Phytochemistry 13: 1483-1492. Fleischmann, A., Gonella, P.M., and Rivadavia, F. 2018. A new sectional name for the Brazilian tetraploid clade of Drosera subgenus Drosera. Carniv. Pl. Newslett. 47: 4-9. Rivadavia, F., Kondo, K., Kato, M., and Hasebe, M. 2003. Phylogeny of the sundews, Drosera (Droseraceae), based on chloroplast rbcL and nuclear 18S ribosomal DNA sequences. Amer. J. Bot. 90: 123-130. Schlauer, J., and Fleischmann, A. 2016. 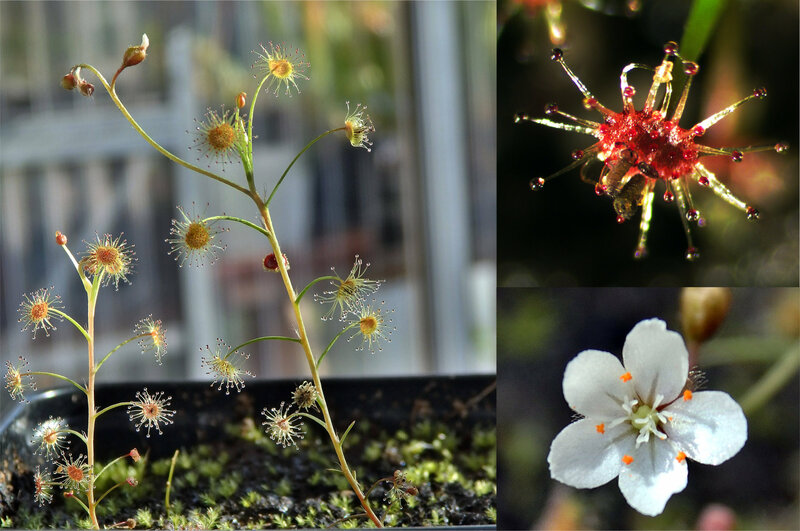 Chemical evidence for hybridity in Drosera (Droseraceae). Biochem. Syst. Ecol. 66: 33-36. Schlauer, J., Hartmeyer, S.R.H., and Hartmeyer, I. 2017. Unexpected discovery of 7-methyljuglone (ramentaceone) in several Australian sundews. Carniv. Pl. Newslett. 46: 20-22. Schlauer, J., Hartmeyer, S.R.H., Hartmeyer, I., Hennern, H., and Hennern, A. 2018. Sundew chemistry and emergence updates. Carniv. Pl. Newslett. 47: 10-17.